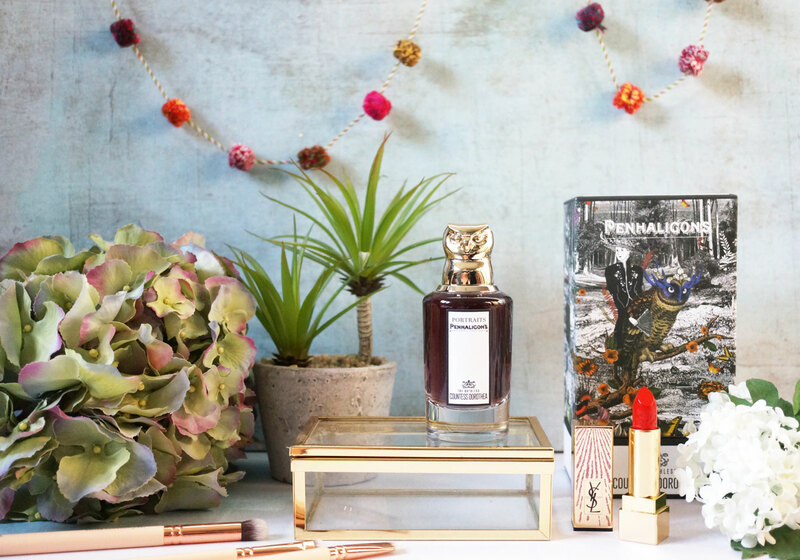 Penhaligon’s have recently added four new fragrances to the range, (two male and two female) of which I have The Ruthless Countess Dorothea – I love how dramatic this sounds! Dorothea is described as a most ferocious matriarch, known for her sharp mind, even sharper wit and a secret fondness for the company of younger men – Dorothea also has an illegitimate son, she’s a scandalous character fond of alcohol, love affairs and ambiguous behaviour – and I think I’d really like to be friends with her!! I predict this scent is going to be a bit racy! Well, the fragrance is just stunning, as expected – it’s incredibly warm and comforting, and it lingers all day after only one spray in the morning. 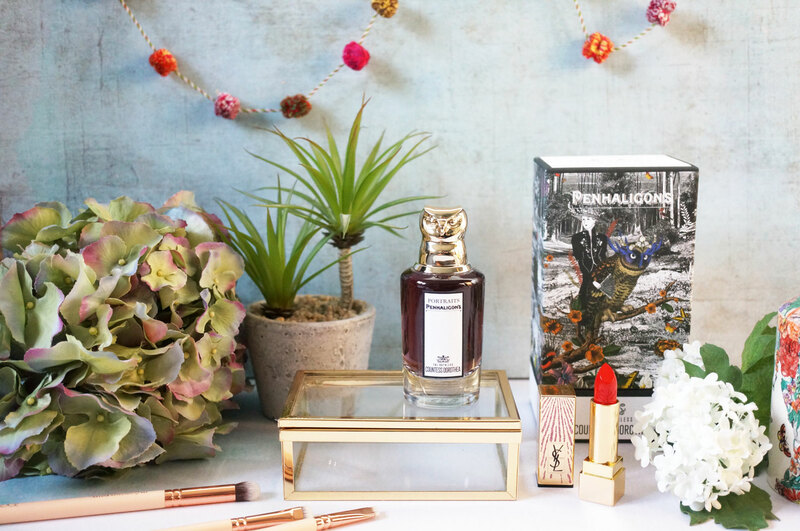 I guess I expected something quite strong, overpowering even, but it’s actually very wearable, yet still noticeable – my husband said ‘ooh what’s that perfume you’re wearing, I like it!’ – it’s also subtly intoxicating and alluring. 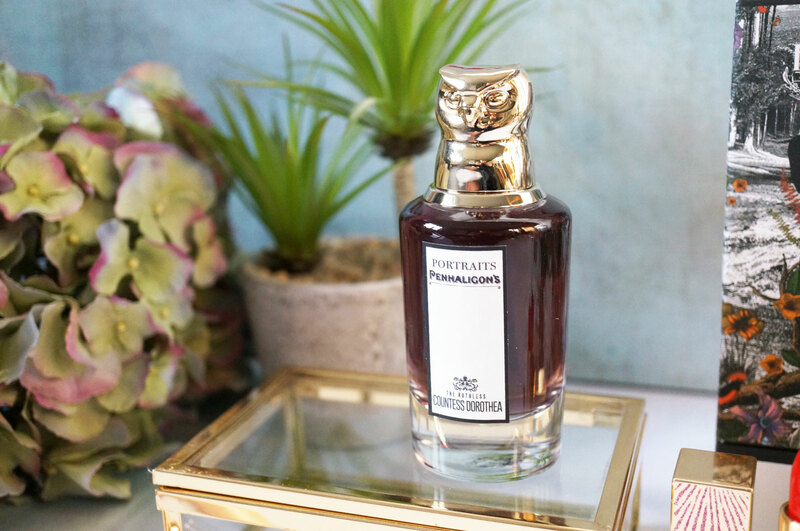 This is easily now my new favourite scent from Penhaligon’s and if you’re fans of the Portraits range, this really is a must try. This is fragrance definitely not to be missed! Top Notes: Bergamot, Ginger and Chinese Cinnamon Wood. Heart Notes: Red Ginger Oil, Beeswax, Clary Sage and Mate. Base Notes: Sherry-Cashmeran, Vanilla and White Wine. 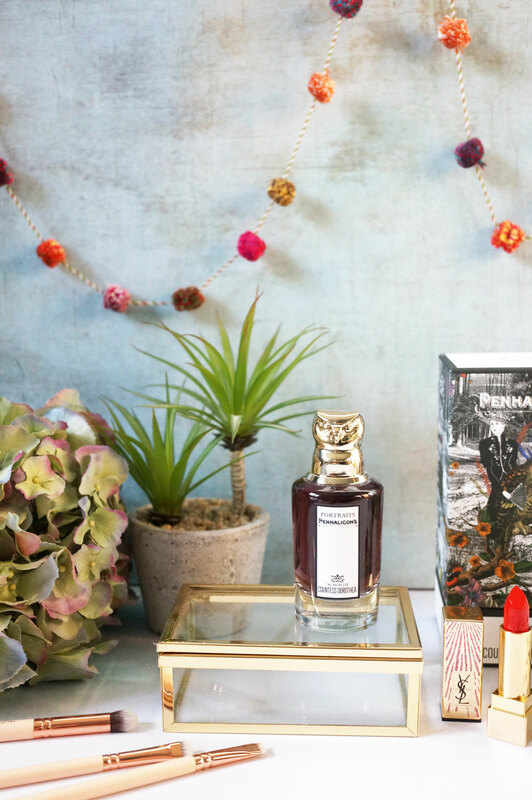 The Ruthless Countess Dorothea EDP is available at Penhaligon”s and Jarrold now.